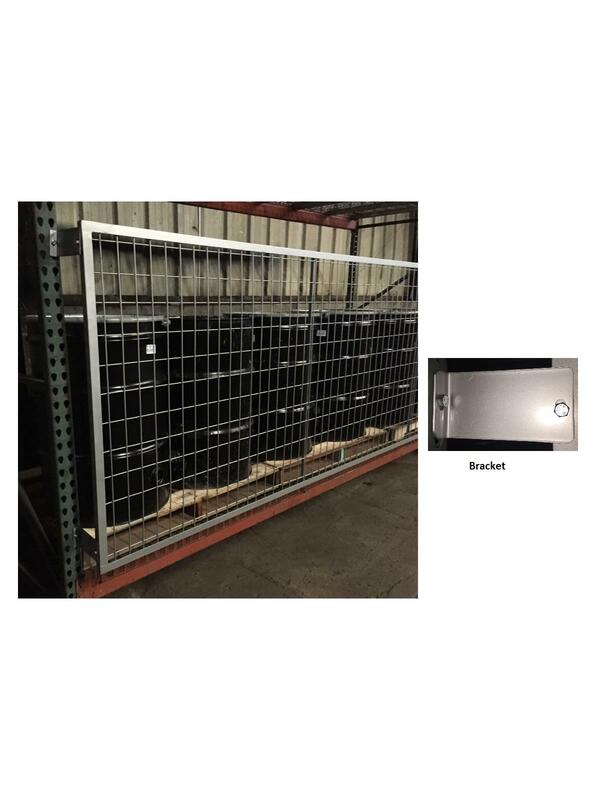 Pallet Rack Guarding | The Rembert Company Inc.
Pallet Rack Guarding helps prevent loose items from falling from racks without hampering sprinkler effectiveness, visibility and air flow. 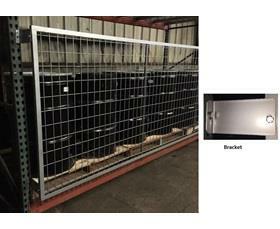 Heavy welded wire mesh with steel angle FRAME construction. Attaching brackets range from FLUSH fit to 12" STAND OFF and are priced separately (bolts included), 4 required for each panel. 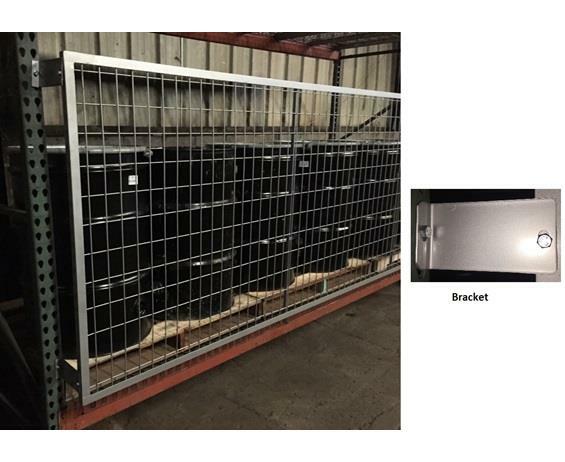 Crating plus packaging charge will apply - call for pricing. Steel surcharge may apply. FOB Shipping Point.